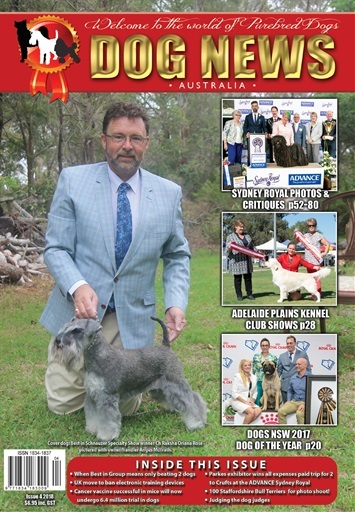 Judges critiques and photographic coverage from the ADVANCE Sydney Royal Dog Show are just part of this great edition of Dog News Australia. 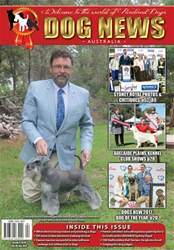 It is peak show time down under and we take pleasure in reporting on the events from around the country. As always we have stories on canine health, news from Europe, debate some canine politics and thought-provoking articles from our regular columnists.